Starting a new life in a new country comes with many challenges. But do not feel discouraged, a fresh beginning is always something that should be perceived as positive and that helps build one’s character. Norway is an excellent place to rebuild your life and make your business flourish. You will meet incredible people and get to know better the unique Scandinavian culture. To inspire and to make you excited for your removals to Norway, we have gathered a list of some of the most peculiar cultural differences that you will encounter in the Northern country. 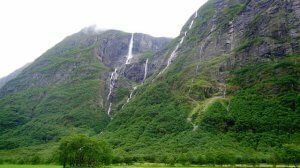 One of the most important things to have in mind before hiring your removal services to Norway is that here you will feel closer to Mother Earth than ever before. A special Norwegian law called “Allemannsrett” allows you to camp and to go anywhere in the wild you want, and the Norwegians take advantage of it to the fullest. Be sure to pack your tent, hiking boots, and ski gear because you will definitely need all of it. The law that allows you “to roam freely” is one of the things that makes Norway such a great place to relocate to. It is common for the average Norwegian to leave town with their family on Friday, and to return on Sunday refreshed and full of energy. Almost everybody has a cottage somewhere in the mountains or a boat, with which to explore the vast fjords. Preserving the wildlife and the environment is one of the important goals of the Norwegian Government. Most cars are electrical and there are numerous tax benefits for their owners. So maybe it is time to upgrade the family car to a shiny new Tesla. Norwegians love participating in all kinds of sports. It is common to see people running for hours, even in the snow in winter. In some regions of the country, including in Oslo, when the weather allows, you can see people going to work on snowboards or skies. 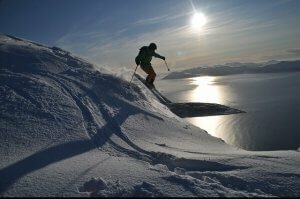 It is safe to say that Norwegians learn how to ski before learning how to walk. Even if you are a complete novice in the art of winter sports, there will always be somebody who will graciously help you and guide you. But if winter sports are not your thing, do not worry you can always go jogging, hiking or cycling. Even if you hate sports after a couple of months in Norway, you will feel inspired by the passion and joy that radiates from the Norwegian people. In conclusion, you really do need to buy those beautiful running shoes that you thought you will never use. Norwegian weather comes as a big shock for everybody who is originally from a country with moderate or continental climate. Be prepared for lots of snow and big amplitudes in the humidity levels. This can be most accurately noticed in the Scandinavian way of dressing up. Welcome to Norway the country of bulky, comfy sweaters, woolen underwear, and comfortable shoes. When in Norway, do as the Norwegians do, so leave all your high heels and skinny jeans at home. Take your time shopping and buy a good pair of winter boots and lots of woolen clothes. The Norwegian style is a unique mish-mash of sporty and comfortable with a pinch of glam. The Kingdom of Norway has everything you have ever dreamt of – an eccentric royal family, clean and safe cities, low rates of unemployment and good living conditions. The country is at the sea, which makes it easy to plan and execute Norway removals almost through the entire year. Ok, let us address the elephant in the room – yes, Norway is one of the most expensive countries in Europe. Our advice is to stop converting between your native currency and the Norwegian krone. After you get settled and the house removal is in the past, you will start working and living the Norwegian dream. In a couple of months, you will no longer feel afraid to enter the stores or to shop online. Norway is estimated to have the highest quality of life out of all European countries. Here you will discover the joy of free Healthcare and Education, as well as other social benefits. It is easy to get used to the good life. There are a large number of languages and dialects spoken in Norway. However, the official languages are Norwegian and Sami. The Sami languages are a group of Uralic languages spoken by the Sami people of the North. Around 95% of the population of Norway speaks Norwegian as a first language. There are two types of officially written standards in Norway – Nynorsk, and BokmÃ¥l, the latter being the most used in the country. Fear not, almost everybody speaks English, so you won’t feel isolated when you relocate to Norway. Most companies in the big cities are international, so English is the preferred working language. There are various courses that you can take to learn the language. The Norwegians are easy to communicate with and will always help you when you have a difficulty with the pronunciation or writing of a specific word. The Norwegian cuisine is quite different from anything you have ever tasted. You will need some time to get used to it, but there are some really delicious dishes that are waiting for you. Keep in mind that you are relocating to a Scandinavian country that is situated relatively close to the North pole, thus the temperatures are usually cold. That said, the Norwegian cuisine is on the heavier side with lots of pork, sheep and salmon dishes. Take a risk and try some traditional delicacies like pinnekjÃ¸tt (dried meat eaten at Christmas), rakfisk (salted, fermented fish) or ribbe (fatty pork eaten around Christmas). And speaking of Christmas, there are seven types of delicious, traditional cookies that you can find in the stores from mid-November to January. Now that is what we call a great national cuisine!